Logic Hop integrates with HubSpot to provide personalization using HubSpot data. You can easily create conditions and display HubSpot data to create an engaging, personalized experience. Note: HubSpot functionality requires the Logic Hop HubSpot Add-on. 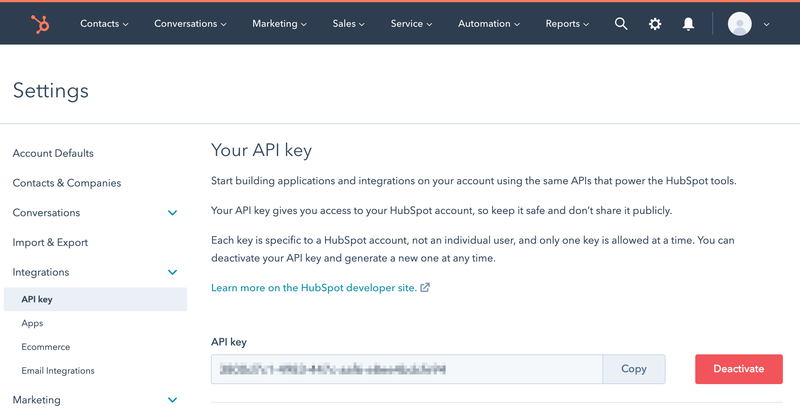 Logic Hop automatically loads data from the HubSpot API when the user first visits your site. Users are identified based on their HubSpot User Token which is stored in the hubspotutk cookie. 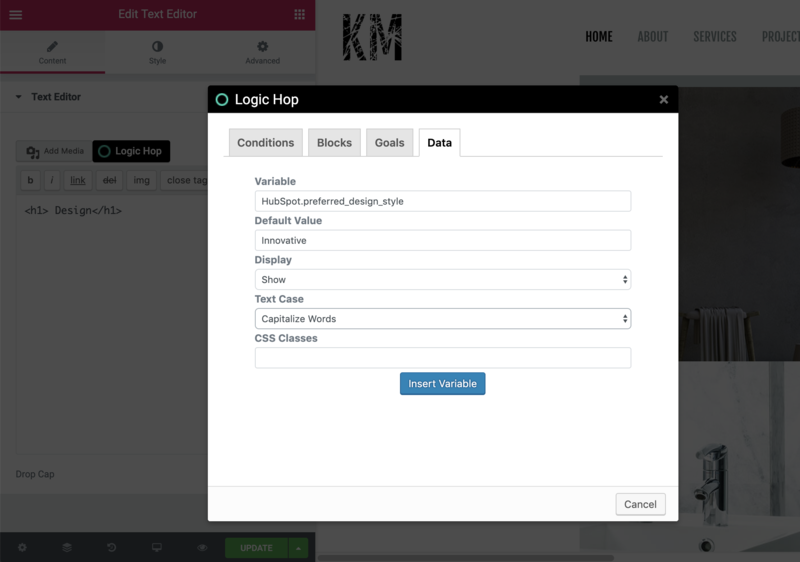 Logic Hop loads HubSpot data from the HubSpot API. Logic Hop never stores or modifies HubSpot data. 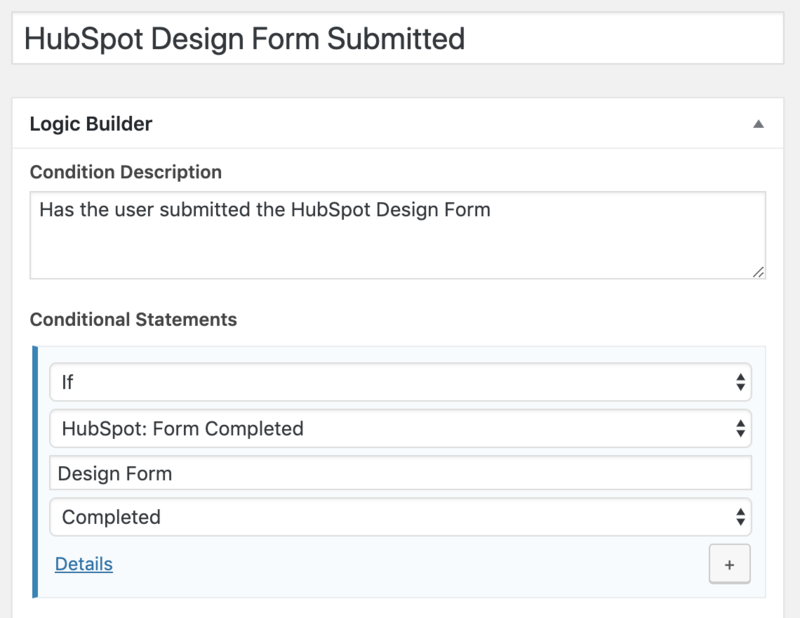 Force reloading HubSpot data is useful after the user completes a HubSpot form on your site. 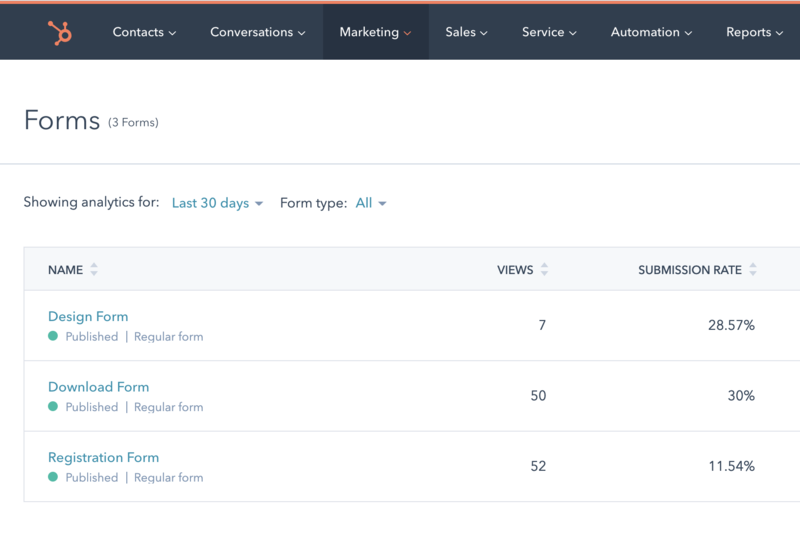 Note: It can take 10-30 seconds for HubSpot data to be available after a form has been submitted. Logic Hop stores HubSpot form submissions in the HubSpotForms variable as an array of form names. To reference the form in a Logic Hop condition you must use the full form name. Logic Hop uses HubSpot the Field Label to lookup and access field data submitted through HubSpot Forms. Spaces in Field Labels are automatically replaced with underscore characters. Fields Labels are converted lowercase. 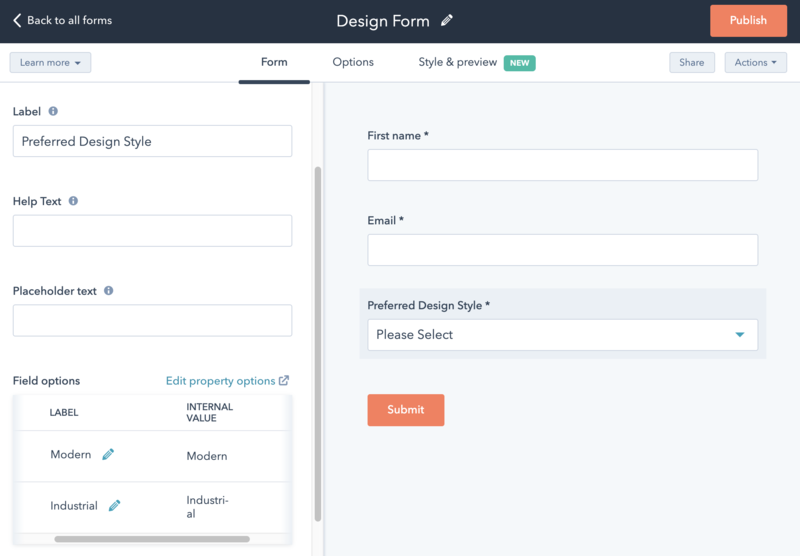 Note: If two or more forms have a field with identical Field Label names the data from the most recently submitted form will be used for that value. Logic Tags can be added from the Logic Hop tool in the WordPress Page/Post editor. Click the Data tab, select a value and click Insert Variable. Replace ##Field Label## with the corresponding HubSpot Field Label. Spaces in label names are automatically replaced with an underscore and converted to lowercase. If the data is available for the user, it will be displayed on the page. Logic Tags can be nested within HTML tags and also within Logic Tag conditions. 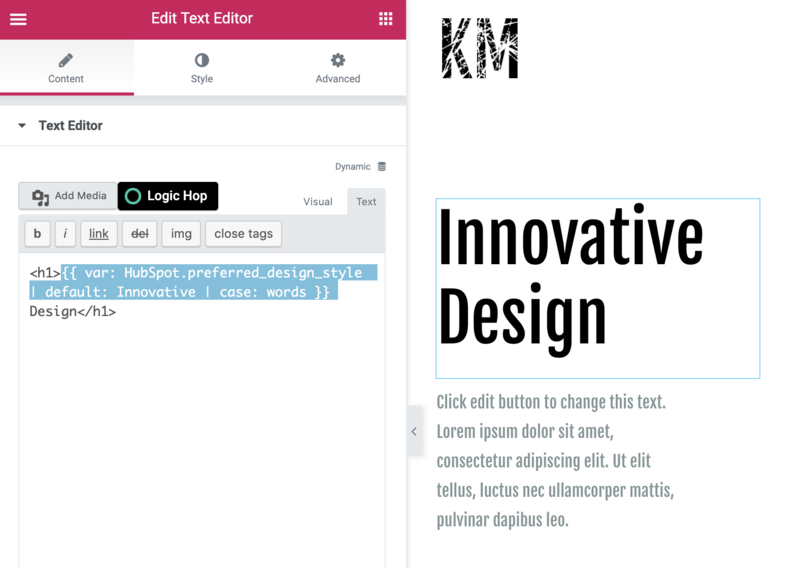 HubSpot Logic Tags can also be created using the Logic Hop Tool Palette. HubSpot data can be used as parameters in Logic Hop Conditions. Learn more about Logic Hop Conditions. The Logic Hop Condition Builder will display all HubSpot condition types available for use. Each can be used alone or combined with other condition types to create complex logic. HubSpot data is stored in the HubSpot variable within the Logic Hop Session object. 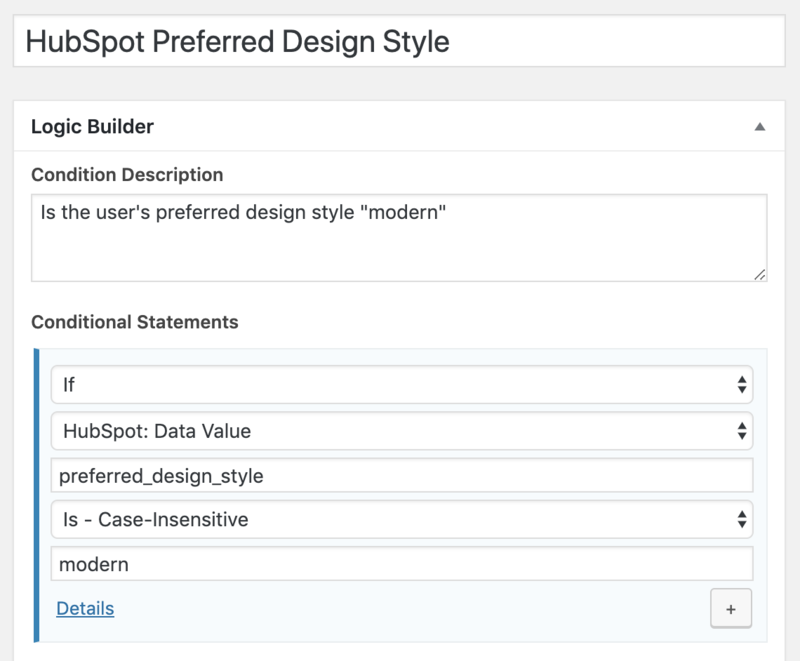 If a company has been assigned to a user by HubSpot the company data will be available within the company object which is a child of the HubSpot variable. When planning your conditional logic and which data to display it is useful to enable session output to view the stored data. Doing so with a user that has existing HubSpot data will list the fields that can be accessed by Logic Hop. Learn more about session output. Note: For sites with a large amount of HubSpot data consider using the free plugin WP Session Manager.